Our easy to use lone worker solution is ideal for those operating in the housing or local authority sectors, where visiting client homes and empty properties is common practice. StaySafe is used by a range of housing associations, estate agents and local authorities around the world and offers reliable protection from commonly faced challenges such as violence and aggression, as well as common causes of accidental injury. Lone working has become commonplace for many working in the housing industry and local authorities, with employees regularly carrying out public facing roles, house visits or client meetings alone and away from the office. While working alone is usually safe, lone working brings with it additional risk as any danger faced, is faced alone. Lone workers operating in the housing industry and local authorities face potentially challenging situations as they enter client’s homes alone, work late hours, carry out maintenance and deal with sensitive situations such as evictions. Such environments mean that housing employees can be exposed to a range of environmental and people risk. Unfortunately, violence and aggression are common within the housing industry – with an assault occurring every 35 minutes in the UK. The same can be said for public facing roles in local authorities especially when dealing with a range of sensitive issues and with vulnerable individuals. Working in locations away from the office which haven’t been risk assessed can expose employees to common workplace hazards such as slips, trips and falls, aggressive animals and electrocution. Travelling on the road is one of the greatest and most uncontrollable risks workers around the world face each day. Travel risks are not always immediately considered, yet many housing employees regularly spend time travelling between appointments and properties. At StaySafe we have specifically designed functionality to overcome common lone workers challenges faced in the housing industry and local authorities. 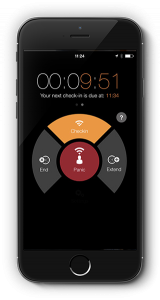 The discreet panic provides a way to signal for help without aggravating a tense situation, while the Duress PIN provides a way to send an alert when being forced to close the app. The app also monitors the location of lone workers in real-time and allows them to check-in safely once they have finished a lone working or travel session. A note taking facility allows lone workers to add extra details to a session such as who they are meeting with or where in a building they are based. Hafod Housing are a not-for-profit organisation, providing affordable housing, care and support across South East Wales. we can keep on top of their safety between appointments through mandatory check-ins.